The RING Video Doorbell - See who's knocking! I have recently installed a new video doorbell at our suburban homestead and man is this thing cool! We have been having fun playing with some new technology and thought it would be nice to share the process of installation and what we thought of it with you. This is not an official review of the product but I will share my opinion of it so far and what I thought of installation. The Ring video doorbell comes with everything you need to get it setup and installed quickly and easily. 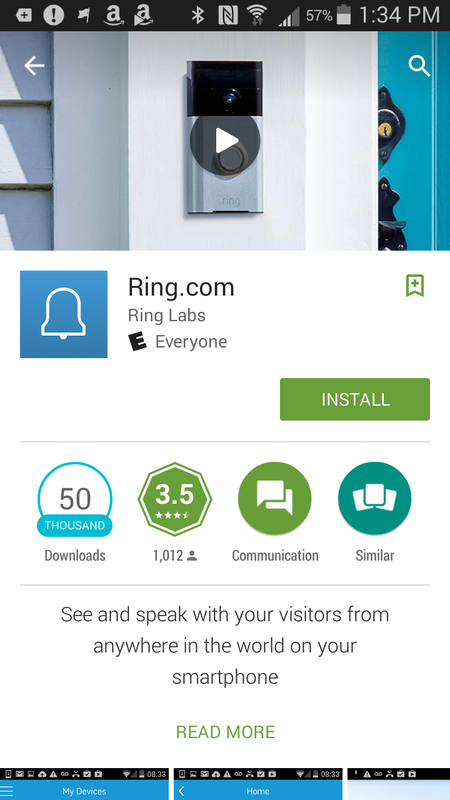 The setup comes with an easy to follow guide and as you install the app on your phone it walks you right through connecting to your home wifi. Once connected to wifi you can answer a series of questions and then watch a detailed installation video right from your phone while you install or just follow along the paper instructions. Once the doorbell is connected to wifi the next step is to cut power to the current doorbell switch. This can be done by taking one of the wires off of the 24v transformer which is normally in a utility closet, basement, or crawlspace. I installed two of these this week and the second one I could not find the transformer so I hooked it up without cutting power with no issues. The old doorbell should come off pretty easily with a few screws and the wires detached. If you didn't cut the power obviously make sure these wires do not touch each other or you will have all kinds of issues. The install kit comes with the mounting bracket for any surface, a masonry bit (if needed) and a level that mounts in the bracket for install. Hold the bracket to the desired location and market the four hole locations. Pre drill the holes and then attach the bracket with the provided screws. Once the bracket is mounted connect the two 24 wires (it doesn't matter which terminal is red or white). Next, the doorbell itself will clip onto the bracket and then then security screws will screw in from the bottom. The doorbell is now setup and working! From the app on your phone or the RING website you can now setup the motion sensor range and name your doorbell's location (ours was "front door"). Now get outside and test it out, it should detect your approach to the door and chime on your mobile device before you even ring the bell. 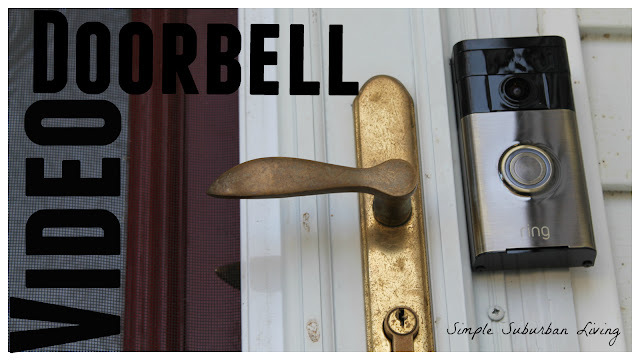 Of course, if you ring the doorbell it should chime in your home and on your device. I did notice a bit of a delay with this on my phone especially when I was not at home but it does work quite well. The cloud recording subscription saves each interaction on the web and allows you to go back and view any motion triggers or rings of the bell at anytime. We love having this device setup and it is so nice while I am working to just be able to look at my phone to see who is at the door rather than stopping work to answer. I can speak to through the doorbell and they can speak back with me, a great addition and beginning to our "smart home"! And there it hung, as almost 400,000 visitors streamed past, in those few months of 1932. And although an artist from Sweden won this bout, and a Great Briton came second, one can't imagine any image being as striking, powerful and Rocky-esque as The Small Ring.